We all want our vehicles to last longer, which is why we take them in for maintenance checks that include a synthetic oil change, getting the fluids replaced, and getting the engine and brakes checked. But maintenance should also include replacing various filters. Filters help keep your car’s systems clean and free of pollutants that might affect their performance. Join North American Wholesale in this article to learn more about the basic filters that keep your vehicle clean. One thing you should know about the oil filter is that you need to replace it each time you get a synthetic oil change. There’s no point in getting new and clean oil if you’re going to use a filter that’s dirty. All the pollutants would simply make their way back into the engine. All the metal components that make up your engine are continually rubbing and grinding against each other, causing small shavings to fall off and find their way into the oil. Synthetic oil helps prevent friction and collects many of the contaminants found in your engine. Then, the oil filter traps all those pollutants. If you notice your car is giving you signs that you need to replace your oil, it probably means that the oil is old and the filter is so full it can’t do its job anymore. It’s time to get an AMSOIL Synthetic Oil change. You can get your supplies from AMSOIL’s online store or by calling North American Wholesale at (866) 580-1008. You should try their XL 0W-20 Synthetic Motor Oil to extend your oil change intervals. Cars only use one fuel filter, but there are two different types according to what kind of fuel your vehicle requires. Both filters work in different ways. The filter for gasoline engines traps the pollutants found in the fuel. Since petroleum is an organic substance, it naturally has some contaminants. The fuel also gathers some of the contaminants that are found in the fuel tanks, things like dirt and rust. Although these pollutants are harmless to your engine, they might affect your gas mileage. The fuel filter will capture them, but you can also give it a little help by refueling your tank strategically and using AMSOIL’s P.i. Performance Improver Gasoline Additive to make your fuel last longer. You should consult your owner’s manual to learn when to replace it. On the other hand, a diesel filter has two jobs. It too captures pollutants, but it also prevents corrosion. The diesel filter is a bowl-like contraption that collects water and separates it from the diesel. You can later remove the drain plug to let that excess water out. If that water were to find its way into your fuel system or engine, the damages could be costly. Save some money by checking that your fuel filter is fully functioning. There are two types of air filters that your car needs, they both play a different role in your car’s performance. First, you have the regular air filter, which helps the engine’s combustion process. The engine needs the air from outside to complete the combustion process. The air is filled with dust, debris, and pollen, which the air filter captures. Without the air filter, all those contaminants would reach the engine, and the combustion process wouldn’t go by as smoothly. You can easily clean the air filter using an air hose. 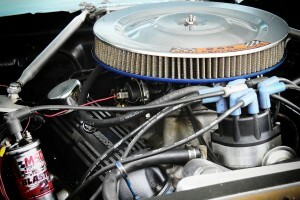 However, you do need to replace the air filter once a year or according to your owner’s manual's suggestions. If you live in a particularly dusty area, you might need to do it more frequently. The second filter is the cabin air filter. Although this filter doesn’t have a direct effect on your car’s performance, it does have one on your well-being. Those same contaminants that can hinder the combustion process can make their way into the cabin and pollute your breathing air. If you have allergies, you don’t want that. The cabin air filter should also be replaced once a year or more if you live in a dusty place. All these different filters help maintain your vehicle at optimal performance. Next time you’re due for summer maintenance, check if it’s time to replace your filters too. Don’t forget you can get your filters and everything you need for an AMSOIL synthetic oil change by calling North American Wholesale at (866) 580-1008. Alternatively, you can head to their online store and explore their whole line of synthetic lubricants.